Identification of detailed anatomy of mandibular canal (MC) with its contents including the position, course, and morphology is extremely important for the management of various surgical procedures including dental implant placement, third molar surgery, dental anesthesia, mandibular osteotomy, bone-harvesting procedure from the ramus and body of mandible, bone plating in angle and body region of mandible, or any other surgical procedure involving the mandible. 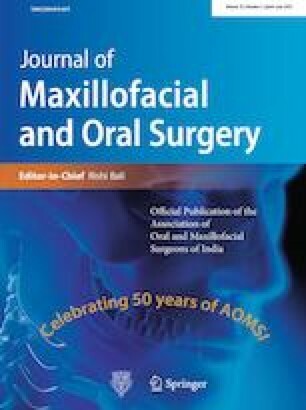 This prospective randomized study was carried out in the Department of Oral and Maxillofacial Surgery, Saraswati Dental College, Lucknow, on 100 randomly selected cone-beam computed tomography (CBCT) mandibular views displaying the entire mandible. Various parameters of the canal were studied in detail and subjected to statistical analysis using SPSS 20 software. For all the observations, paired t test was applied to compare right and left sides and independent t test for the comparison of gender. For centuries MC has been a paramount topic of discussion, and with the contraption of CBCT, we can finally decipher the canal in great detail. CBCT acts as a guide to prevent damage to the neurovascular bundle as the canal traverses its course and sometimes with certain variations.